Control Panels | Indelac Controls, Inc.
Indelac control panels are designed to provide dependable operation as well as meet NEMA 4 specifications. While ICI offers a number of standard control panels we also design special controls for various applications. If your needs do not fall within the realm of our standard control panels please call or email your specifications for design consideration. All our control panels come with 115Vac standard but other voltages are available: 12Vdc, 24Vdc & Vac, 230Vac/3Ph and 460Vac/3Ph. Model PBOC-10 is a compact push button control station normally located at the actuator, however there are many applications requiring that the control be in a distant location. It is available with momentary contact or mechanical interlocking switches to meet the specific requirements of the application. 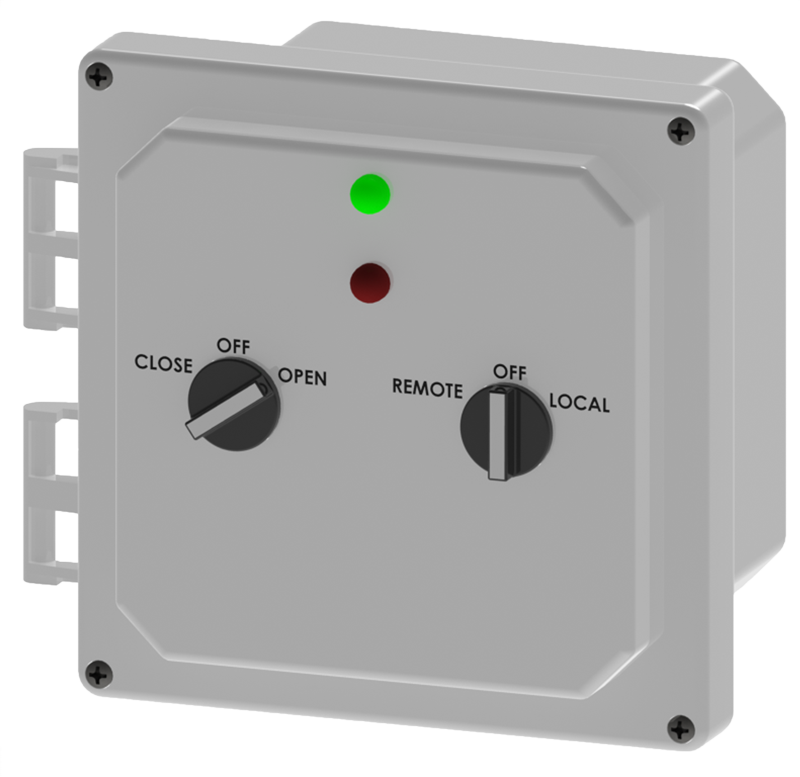 This control package is supplied with a NEMA Type 4 enclosure (additional enclosure types available) and is equipped with lights for position indication. This control panel can be used in numerous applications where on/off control is required. Model SSOC-10 is a compact control station similar to model PBOC-10 except a selector switch is applied instead of the push buttons used on model PBOC-10. This control package can be located at the actuator or at a remote location of the actuator being controlled. The enclosure is NEMA Type 4 (other enclosure types available) and is equipped with indicating lights for position indication. This control panel is ideal for applications requiring on/off control remote or local to the actuator. This control panel transmits a 4 to 20mA analog signal to provide proportional position control of an actuator/valve for precise control of flow, pressure or temperature in a variety of applications. This control package can be used in process control or throttling applications. 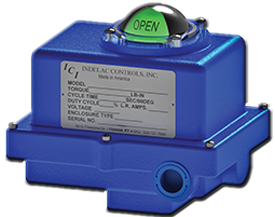 This control package is available on all ICI electric actuators. It is normally mounted on the actuator but can be mounted along side the actuator and hard wired to the actuator. These controls panel are equipped with NEMA Type 4 enclosures as standard (other enclosure types available). Standard equipment also includes open/close light indication, Remote/Off/Local selector switch, mechanically interlocking open/close push buttons (or selector type open/stop/close switch, shown in PDF) and well-marked terminal strip for easy field commissioning.